As bishops of The United Methodist Church, our hearts break because of the divisions that exist within the church. We have been in constant prayer and conversation and affirm our consecration vow “to guard the faith, to seek the unity and to exercise the discipline of the whole church.” We recognize that we are one church in a variety of contexts around the world and that bishops and the church are not of one mind about human sexuality. Despite our differences, we are united in our commitment to be in ministry for and with all people. We are also united in our resolve to lead the church together to fulfill its mandate — to make disciples of Jesus Christ for the transformation of the world. 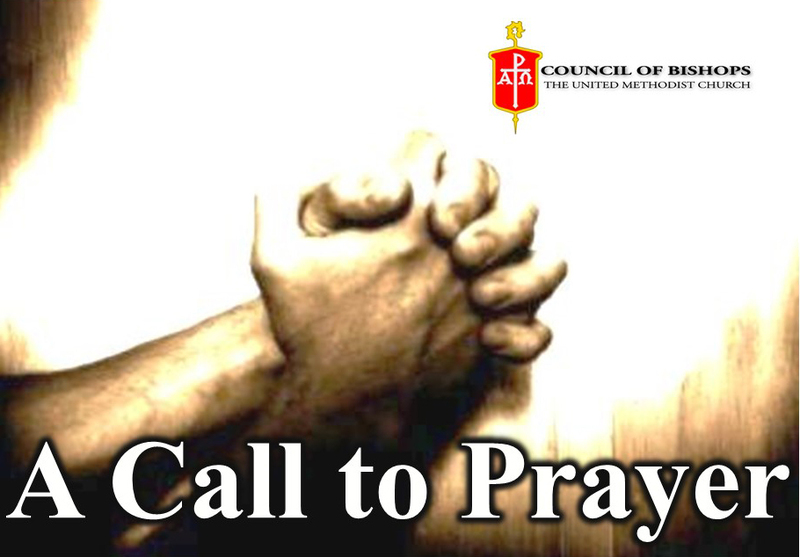 As we do so, we call on all United Methodists to pray for us and for one another. The bishops worked together on the statement during several executive sessions during their weeklong meeting in Oklahoma City, which opened on Monday with the bishops reaffirming the commitments they made when they were consecrated. During the president’s address, Bishop Warner H. Brown, Jr. of the San Francisco Episcopal Area asked the bishops if they would stand with him to reaffirm their vows as he prayed. Bishop Brown called for unity within the church and encouraged finding places where we can agree to work together and find common ground. “Leading a church, such as ours, with a diversity of perspectives means we must let people know we hear them, and that we are listening both to those voices that are in the majority and those that are in the minority so that all know they’re heard,” said Bishop Brown. To read the United Methodist News Service's (UMNS) report on the Bishops' call to prayer, visit umc.org/news-and-media.